What if one decision could improve your health, release your stress, and make you more confident, focused, and motivated than ever before? 3 – Increase your confidence And positively impact every area of your life!! Tae Kwon Do is a great workout and great fun! The only way that any exercise program works is if you are able to stick with it. The reason most people drop their exercise routine whether it’s going to the gym or working out at home, is that they get bored. The monotony and repetition involved with most traditional forms of exercise turns off many people after just a few months and they lose motivation and whatever benefits they gained. 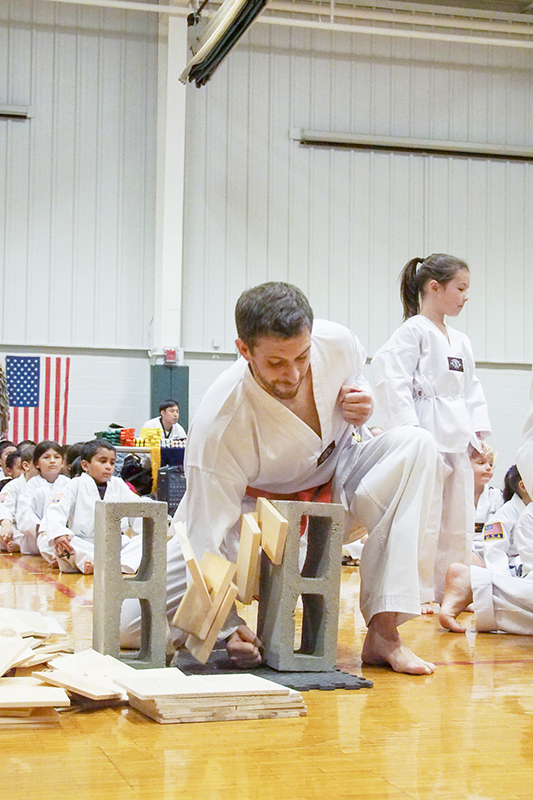 Tae Kwon Do classes are full of variety and the average student trains for years, not months. Think about how much better shape you would be in if you enjoyed working out and, as a result, did so consistently! Tae Kwon Do is a very comprehensive workout. In a single session, you will work on flexibility, balance, endurance and strength. With regular training you will lose weight, gain muscle tone and improve your athletic performance for other sports. A crucial element in keeping motivated is measuring your progress and setting new goals. In this area, Tae Kwon Do has no equal. Our color belt system and Black Belt curriculum provide you with a step-by-step process to challenge yourself and reach new levels of fitness. Tae Kwon Do is a Powerful Form of Self Defense! In Tae Kwon Do you never make a move without a purpose. Every minute you’re practicing this centuries old art form, you’ll be improving your fitness level while at the same time learning a highly effective form of self defense. Wouldn’t it be reassuring to have the confidence that comes with knowing martial arts? 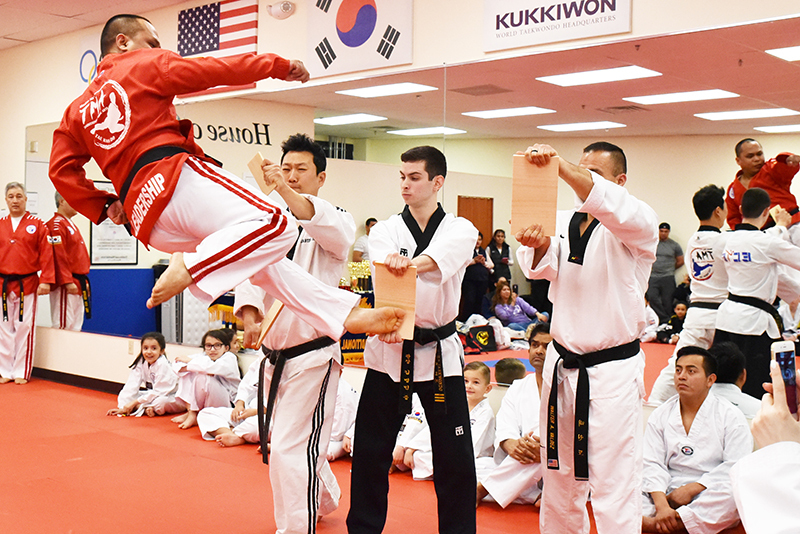 Tae Kwon Do can provide you with the presence of mind, awareness, and physical readiness that will give you options in a confrontational situation. Training in Tae Kwon Do is a preventive self-defense method. It will affect your physical condition, posture, eye contact, and awareness-all the traits that will allow you to carry yourself with an aura of strength and self-confidence. This may help you to keep a confrontation from ever happening. Don’t forget Tae Kwon Do isn’t only exercise for your body, it’s great for your mind! This era has been called the information age. With cellular phones, faxes, and email you can probably be reached at anytime, anyplace. If you are like most adults, the result is more information and more to do. The ultimate result is an increase of stress and a decrease in personal time. Yet for thousands of years, martial artists have enjoyed the calm peace of mind and harmony that come from controlling one’s thoughts and actions. You can possess this same control and take charge of your stress. During your Tae Kwon Do training, you will learn breathing and mediation techniques that will allow you to slow down your frantic pace and gain a fresh perspective. As a result, you will find that even after a rigorous Tae Kwon Do workout you will feel invigorated rather than drained, and energetic rather than exhausted. No matter what the style of martial arts — whether it’s Karate, Kung fu, Taekwondo, Jujitsu, Judo, Hapkido, Tai chi or Kendo — the physical and mental benefits are similar.